Our first try at making our own granola was a success! 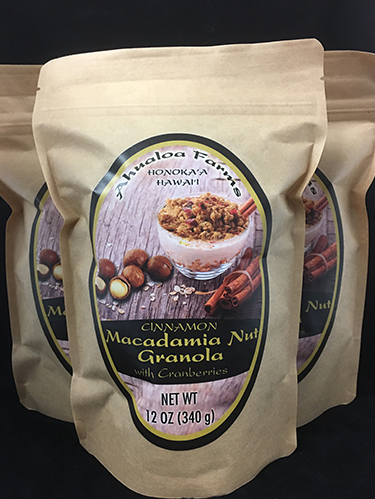 We combined our farm fresh macadamia nuts, our own cold pressed macadamia nut oil, a rich delicious local honey, real cranberries, vanilla and cinnamon to create amazing flavors. This soft granola will be the perfect topping for oatmeal, cereal, fruit, ice cream or just on its on. Please let us know what you think!